Residents in Grove Road are petitioning to have a licensing review of the hours their local pub is open after being bothered by an increase in anti-social behaviour. There are warnings of dire consequences if there is an increase in licensing hours for off-licenses, pubs and clubs after recent government legislation has made it difficult to limit the hours alcohol is sold. Grove Road residents say they are regularly woken up at night by rowdy, drunken and abusive behaviour and blame patrons leaving the Windmill Pub and other anti-social passers-by. Complaints include reports of people urinating in front gardens. There are also reports of damage to property and cars, horns tooting late at night and dangerous driving the wrong way down what is a one-way street. Residents say they are frightened to remonstrate with the trouble-makers. A petition has been signed by 50 residents asking for a license review for the Windmill Pub on the corner of Acton High Street and Windmill Road. They claim that since the licensing hours were increased last year to enable the Pub to stay open until 1:00am on Monday mornings, they have suffered an increase in problems in the road. 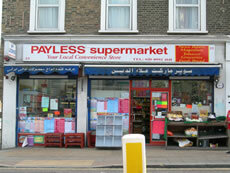 The petition has been sent to Andy Slaughter, MP and to Ealing Council. At a meeting held last night at Acton Police Station, chaired by Councillor Seema Kumar, residents covered a range of issues concerning licensing laws, street signage and redesign of streets. Gerry Foley, pub manager of the Windmill, Richard McHardy of Ealing Council's licensing department and PS Phil Norcutt of Acton Central SNT were also present. During the meeting, which lasted for 1 and a half hours, PS Norcutt updated residents on how the High Street end of Grove Road could be redesigned to make it less attractive for congregating drinkers. It was felt by many attending the meeting that the new licensing laws for pubs and off-licenses mean there is a danger that Acton High Street could deteriorate unless people make representations against the extension of licensing hours. Late closing times are felt to be inappropriate for residential areas. There will be two follow-up meetings to discuss progress with the Grove Road residents who want to improve their quality of life and the community. Anyone interested in attending the follow-up meetings (the first of these is on July 3rd) can obtain further details from charlie.h@virgin.net. We spoke to Sandy Stagg, who runs a business on Churchfield Road and has been actively campaigning against shops who apply to extend their licensing hours. "I know for myself the problems this can cause. If off-licenses are allowed to extend their hours, it will cause problems throughout Acton, not just on the High Street. The problem with allowing off-licenses to extend their hours is that it will lead to an increase in street drinking, in people spilling out of pubs and buying more alcohol, then behaving badly in the High Street, Churchfield Road and in residential streets throughout Acton." Sandy says that license applications aren't publicized for long enough and that the publicity which appears in local newspapers is often overlooked. "Aside from that, all they have to do is put up an A4 poster for 3 weeks in their shop window." Gerry Foley, who has been managing the Windmill Pub for 10 years, sympathises with residents. He told us: "This pub has been in my family for 25 years. I know a lot of my neighbours in Grove Road and have been trying to work with them over these issues." He disagrees that the extended licensing hours in his pub have made matters worse, " though I do agree that things haven't improved. I do my best to keep things quiet and I have security on the door. We tell people who haven't even visited the Pub to keep moving along the High Street so they don't bother residents and behave badly." He went on: "If we shut the Pub earlier, everyone would leave at the same time and things would be more difficult to control." Gerry told me that bad behaviour is often due to people dumping rubbish, people hanging around waiting for cabs and people on their way home from other pubs or having bought alcohol from off-licenses. "None of this has anything to do with the Windmill. In any case, most of the younger, noisier drinkers leave the Windmill by 10.30 and go elsewhere. We often turn people away if they're drunk or look like they could cause problems. We are a family business and don't want any trouble." PS Phil Norcutt, who leads the Safer Neighbourhood Team in Acton Central told me he is working with the local community in Grove Road to reduce the incidents of anti-social behaviour. 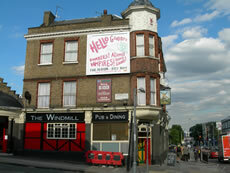 "This includes both residents and staff at the Windmill Public House. It is clear that the late hours for Sunday night have some impact on this as any conversation will resonate in that street." He went on: "We are also working together with the local authority, highways department and traffic management to improve traffic signage and the redesign of the extended pavement area at the High Street end of Grove Road." He told me that the SNT has viewed hours of CCTV footage. "We have also completed several late shifts to assist in accurately identifying the problems of this location and with the continued help from the residents, pub staff and our other agencies look forward to seeing considerable improvement in the near future." If residents manage to bring about the license review, their spokesperson says it will be the first resident initiated review in the borough. Meanwhile, the new government legislation means that everyone will need to be vigilant in order to prevent the sale of alcohol 24-hours a day on the High Street.